In 1967, twelve men formed The Penrod Society. They supported cultural and educational activities of Indianapolis area artists. Forty years later, The Penrod Arts Fair has become a tradition with patrons visiting the grounds of the Indianapolis Museum of Art. 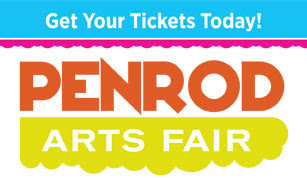 The Fair showcases hundreds of artists and offers live music and performing arts. This one day event provides grants for local arts organizations. This year features over 300 artists with their work on display and 6 stages of entertainment. Parking at the IMA can be crowded - you can also park at Crown Hill Cemetary, Bertha Ross Park, International School, Major Taylor Veledrom and Butler University and take the shuttle service.